Posted on March 3, 2013 by M.E. Jeffrey Hubbard has been charged with homicide by vessel in the tragic death of Tameka Raymond’s 11 year old son, Kile Glover. The family friend who authorities said ran over Usher’s stepson while piloting a jet ski on Lake Lanier was arrested Friday morning, one day after a Hall County grand jury indicted him on charges including homicide by vessel. Jeffrey Simon Hubbard, of Atlanta, is being held at the Hall County Jail without bond and will appear before a judge Saturday. His arrest comes nearly eight months after the death of 11-year-old Kile Glover, who was tubing with a 15-year-old girl when they were struck by Hubbard’s jet ski. Kile was unresponsive when pulled from the water and died of heart failure after spending nearly two weeks in a coma. The 15-year-old sustained minor injuries. 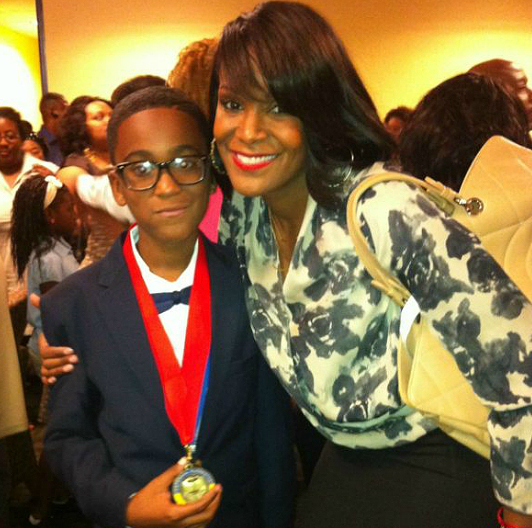 The 11-year-old was the son of Tameka Foster and Ryan Glover, president of Bounce TV and a former executive with Turner Broadcasting. Foster married Usher after her marriage to Glover dissolved.